Grand OG from Roor is an indica-dominant strain of marijuana which represents a fusion of the very best of new and old skool genetics. 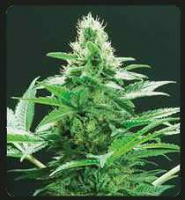 Grand OG F4 Feminized Cannabis Seeds by Roor Seeds: Grand OG from Roor is an indica-dominant strain of marijuana which represents a fusion of the very best of new and old skool genetics. True OG is one of a handful of special OG Kush cannabis strains with mysterious origins possibly dating back to a Grateful Dead concert in the 1990's. Perhaps we'll never know for sure where The True came from, but we're sure glad it's around now. White Widow surely needs no introduction - she is an enduring favourite in the coffee shops of Amsterdam and has been for several decades. 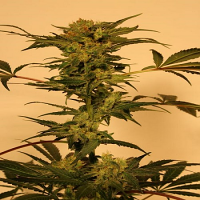 Roor have pulled out all the stops with this new range of feminized cannabis seeds and strains like Grand OG show that their efforts have not been in vain. Grand OG exhibits the very best characteristics from both parent strains - the unbridled power from the True OG side is perfectly complemented by the stability, vigour and trichome production of the White Widow genetics to produce an indica-dominant marijuana variety for the true connoisseur. Despite this being an indica dominant strain, Roor's test grows of the Grand OG - conducted in their legal environment in The Netherlands - showed strong, healthy plants with a tall, stocky stature, atypical to many indica varieties.